The place is 19th century London - It's December and the glow of twilight is settling upon the city - a Victorian Christmas is in full swing. The smell of holiday spices, pine boughs and roasting chestnuts fill the air while Men and Women in full victorian dress, waistcoats and hoopskirts waltz to the festive tunes at Fezziwig's Warehouse. Chimney sweeps roam the alleyways, Mrs. Claus greets guests at the Tea House and you may even catch an occasional glimpse of the ghost of Jacob Marley - or Mr. Scrooge, himself... The streets of "A Christmas Carol" have come to life! No, you haven't stepped onto a movie set (although it's just as realistic) - you've arrived at The Great Dickens Christmas Fair. 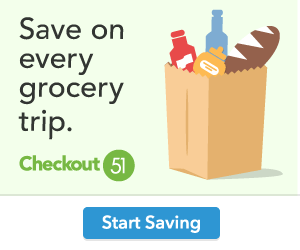 Held at the Cow Palace in San Francisco each weekend from Thanksgiving until Christmas. 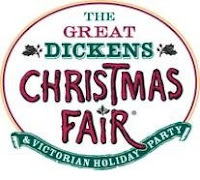 This year the dates are Saturday, November 27th through Sunday, December 19th (including the day after Thanksgiving - Friday, November 26th), the Great Dickens Christmas Fair is an enchanting step back to a simpler time that's sure to put you into the Christmas spirit. For the kids there's the Punch and Judy Stage where the Piccolo Puppet Players present Mr. Punch and his lovely wife Judy. The Sugarplum Playhouse where sweet caroling rings out and Father Christmas himself holds court by a great toy-bedecked tree, jovially inviting young lads and lasses to join him for a lasting holiday photo memento. Children are chosen to participate in Stark Ravens' Bold Tailor, while Alice has a tea party that the wee ones can join - and Don't forget the Toy Parade led by Father Christmas himself! From hand-made sweets to the charmingly flirtations Chimney Sweeps. From Gilbert and Sullivan's Mikado to Mad Sal's racy music hall sing-along. From the Father Christmas parade to the Victorian fascination with Corsetry. From learning to Waltz at Mr. Fezziwiggs warehouse to the shocking display at the Saucy French Postcard Review. And from fresh baked cookies to Hot Buttered Rum! Feel true holiday magic when you stumble upon a candlelight reading by Mr. Charles Dickens himself, or blush unabashedly when one of Sal's Girls winks at you, "down by the docks". 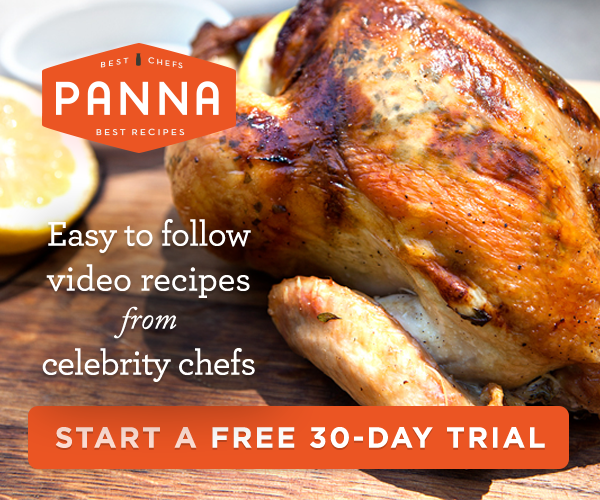 How many naughty and nice moments will you experience! Visit dickensfair.com for your time travel planning, including free BART shuttles all day, every day! 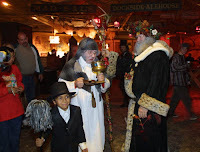 The Great Dickens Fair is something everyone must experience at least once in their lives. Experience the joys of Christmas past at the Great Dickens Christmas Fair!